A few things are different here and details are defi nitely not as simple as they seem. 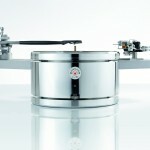 Handling fl exibility and uncompromising manufacturing show the character of this extraordinary turntable. 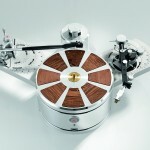 It can be individually tuned like no other turntable – both tonally and visually. The base is an aluminium support milled from solid metal on CNC machines. This support carries the bearing as well as the major part of the massive platter. On this chassis you will fi nd two mounting points for two separate tonearm bases, holding one tonearm from 9” to 12” length each. The tonearm bases’ innovative rotating mechanism already known from our L-1 and L-2 turntables allows for mounting the tonearms at any angle and distance despite the most solid screw attachment. 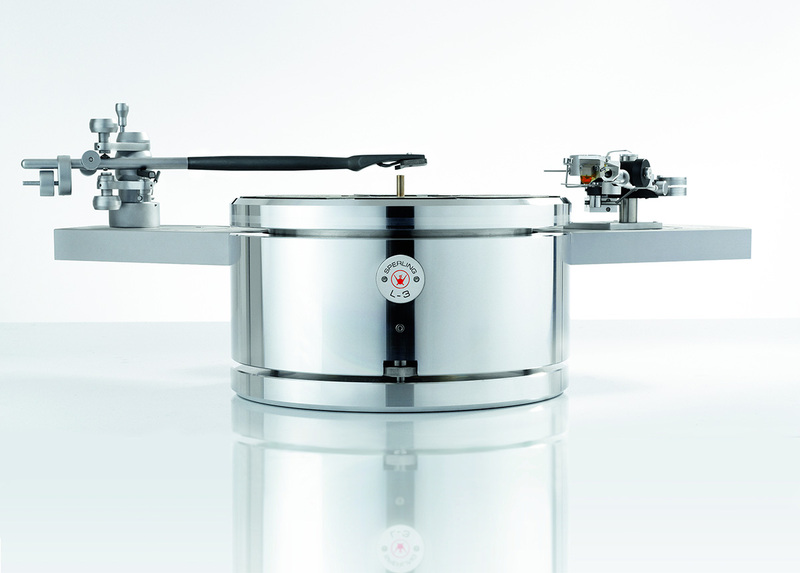 You have the choice whether to equip the L-3 with one base or two tonearm bases. Of course retrofi tting of a second arm base is possible at any time. The platter itself is made of a special aluminum alloy. 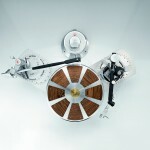 Exchangeable inlays are affi xed to the precision groves on the top, which create the coupling between the record and the platter. We offer inlays made of various materials (different woods, acrylic, POM and many more. With this offering, the listener is given the opportunity to determine the tonality according to his personal preferences.